KDAB’s customers are varied, both in business type and location. 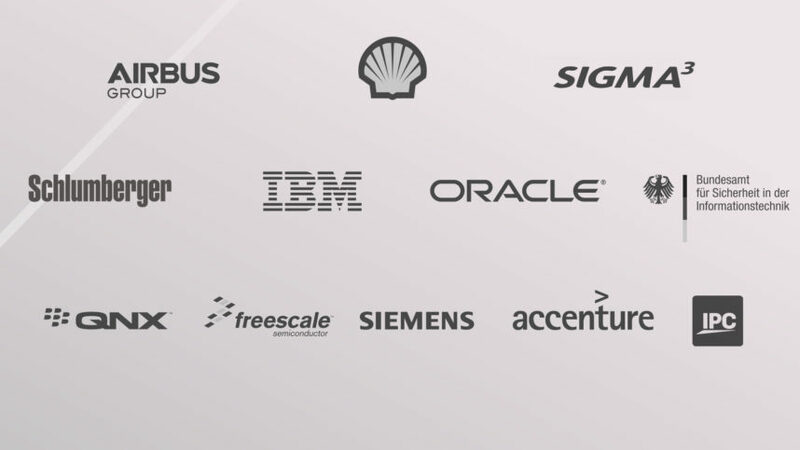 The majority of our customers are working in major international companies like Shell, IBM, Boeing, Schlumberger, Accenture, EADS, Sigma³, Motorola, Nokia, Ericsson and Siemens. We also support smaller companies that lead their market segments through innovation. All companies typically have very high quality demands and a strong focus on engineering. Schlumberger used us to successfully port oil and gas exploration software for what appeared to be an insane schedule. Blackberry turned to KDAB to make sure Qt performs optimally on tablets and mobile phones for the BB10 platform. QNX work closely with us and the automotive industry. Oracle had tailored components for their ERP software engineered by us. The German government uses a Groupware software solution we developed for thousands of users. Freescale used us to understand how you use Qt on a new generation of mobile phones. IPC – IQ/MAX worked with us to create the multi-award winning Trading Floor Communication System. Read our case study. Vehicles for Automotive OEMs and Tier 1s benefitted from our expertise in the development of touchscreens for IVI and navigation systems. Medical care and intensive care units Based upon a functional specifications and a corporate look-and-feel guide, we developed and designed the UI components for computer aided surgery. In addition we also provide a yearly code review of code developed by the customer’s developers. Leading Medical equipment manufacturer- UI for medical equipment so that surgeons can use the UI with gloved hands. High-end weaving machine Development of all control panels – to be operable by touchscreen. The functionality included UI components and a complete client-server system for controlling the HW.